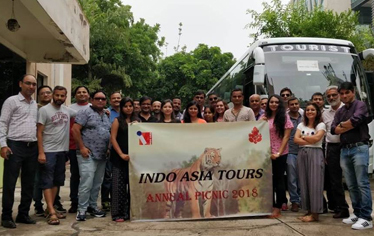 In order to make the most engaging itineraries for the clients, it is imperative that the Indo Asia team also travels around the region for better insights. And sometimes the travelling can be to rediscover your own city. Regular outdoor programmes are a constant feature on our calendar now, where the staff heads out for sightseeing, birding trips or a museum trail. Life at Indo Asia is also about being in the very best state of mind. Step in any time and you can find a festival being celebrated, a puja (prayer meeting) being performed in office or the next day trip being planned. 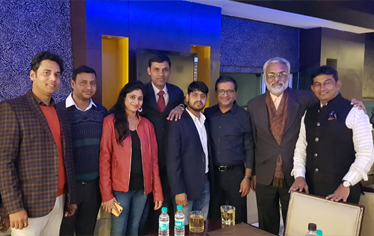 New Year party celebration - a fun filled evening to welcome New Year with DJ, Dance, Music, Masti with yummy food and drinks. We never miss occasions and find reasons to celebrate at IAT. We work round the clock and never stop but it is a time to unwind. 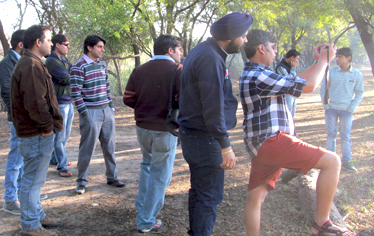 A fantastic & memorable office trip to Ranthambore National Park. IAT team enjoyed a cricket match, jungle safari and their visit to 10th century Ranthambore Fort, on a hilltop, Ganesh Mandir temple. 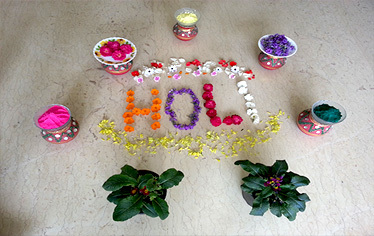 Holi is one of the major Indian festivals that is celebrated in early spring. 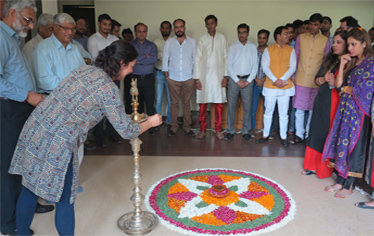 Festival celebration at Indo Asia office always bring positive reinforcement for the employees. This promotes a spirit of oneness and a sense of belonging among the employees. One of the most important festivals of India for Hindus, Diwali is celebrated across Indian homes in Oct-Nov. We find it imperative that the Indo Asia family also celebrates together – a small prayer meeting and distribution of sweets is the order of the day close to the festival of lights. Hawan is a sacred purifying ritual performed by Hindus in temples, homes and work places by invoking a sacred fire, Agni. As per ancient Hindu texts on hawans, any offering to the Fire God (Agni) is actually an offering to the Sun. 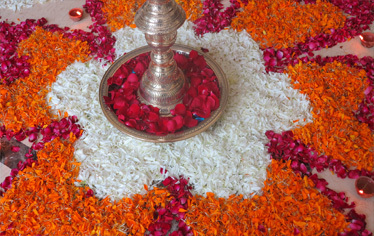 Offerings such as ghee, rice, dry fruits, honey, herbs, wood etc are made to the sacred fire while reciting Sanskrit mantras. 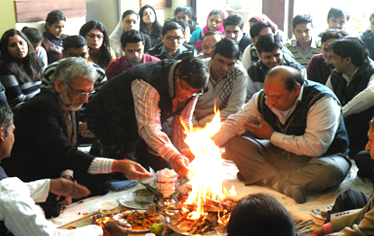 The Indo Asia family does hawan every year on the foundation day of the company. One of the simplest and easiest methods to fulfill social responsibility is to donate one's blood. 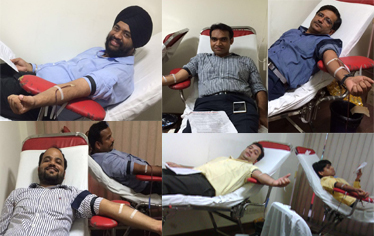 We are glad to have had our 10th 'Blood Donation Campaign' on Wednesday, July 20th, 2016. Every drop our staff donates makes a difference. Our staff regularly contributes towards social causes and activities. 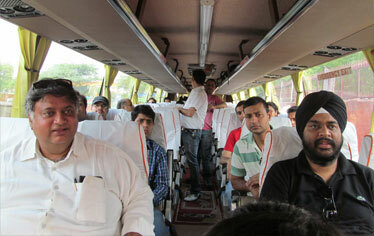 A trip to learn about Delhi’s historic legacy is a winning trip for the staff. Not only does this help them unplug from the cubicle, but it is a great way for them to pick the best of the lot for your itinerary. Guided tours, local insights, street food and lots of fun is the promise of the day. Few know that Delhi is dotted with several green pockets despite its rapidly increasing urban landscape. One such delightful patch of green is the Sultanpur Bird Sanctuary that is rife with a number of species of birds. Great for photographers to whet their skills and a great way to rejuvenate, this is one of our favourite trips for the IA team.